These filters are ideal for removing liquid and solid contaminates, such as water, oil, and particulates, from air and inert gas streams. They are an excellent choice for purifying the air from oil lubricated compressors. 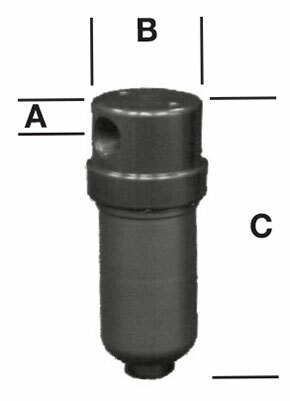 Housing are constructed of aluminum with porting from 1/4” NPT female to 3” NPT female. A large range of flow rates are accommodated by this variety of size. Coalescer Type 70C: These elements have an efficiency rating of 95% against 0.1 micron particles and aerosols. They are a good choice for general purpose applications requiring clean compressed gas for powering valves, cylinders, air tools, etc. Coalescer Type 50C: These elements have an efficiency rating of 99.99% against 0.1 micron particles and aerosols and should be used for the most demanding applications requiring a high quality clean gas. For the best performance, a Type 70C coalescer should be used as a pre-filter to the 50C. Adsorption Type CC: Coalescing filters can only remove the oil and water present in gas lines as liquid aerosols. They cannot remove the small fraction of oil present as a true vapor or water vapor. 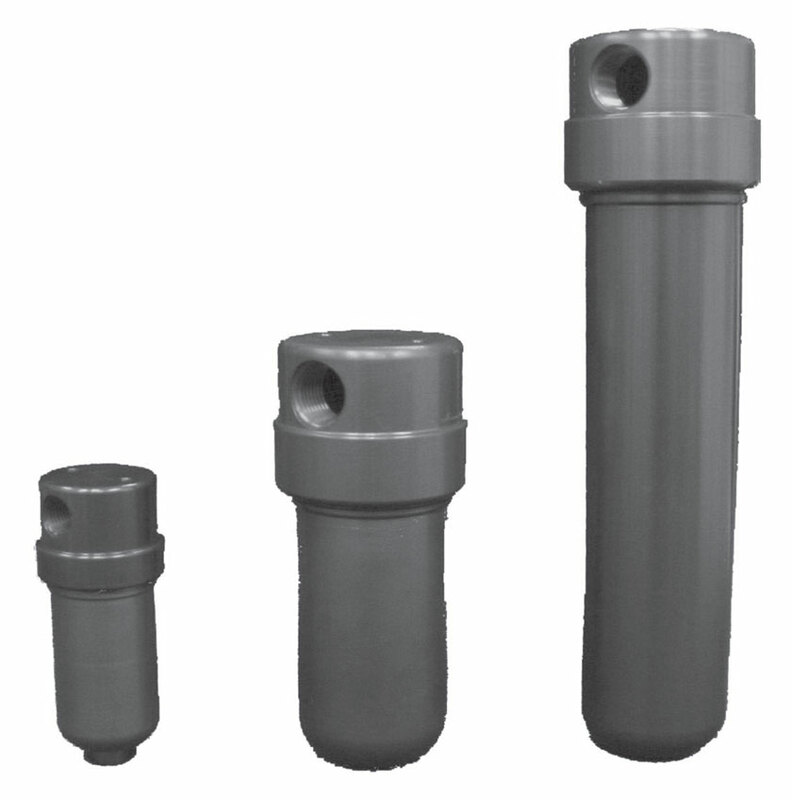 Type CC cartridges are vapor adsorption filters which will remove such gaseous contamination. It is important to remember that Type CC cartridges must always be preceded by a Type 50C coalescing pre-filter. Complete removal of oil, water and solids. High flow rates with low pressure drop. Low cost, completely disposable filter elements. Available with manual or fully automatic drains. **CC cartridges are not used with automatic drains.